From I-94 or I-90/94 exit Highway 30: then exit East Washington Avenue (Highway 151) toward the State Capitol for several miles. Turn left on South Blair Street. Turn right on East Wilson Street and continue past Butler Street and Pinckney Street. Turn right on Martin Luther King Junior Boulevard (NOT King Street). Turn right on East Doty. Get into the left lane immediately, toward the red/orange brick building. Before you reach South Pinckney Street, the entrance to the parking ramp will be on the left. 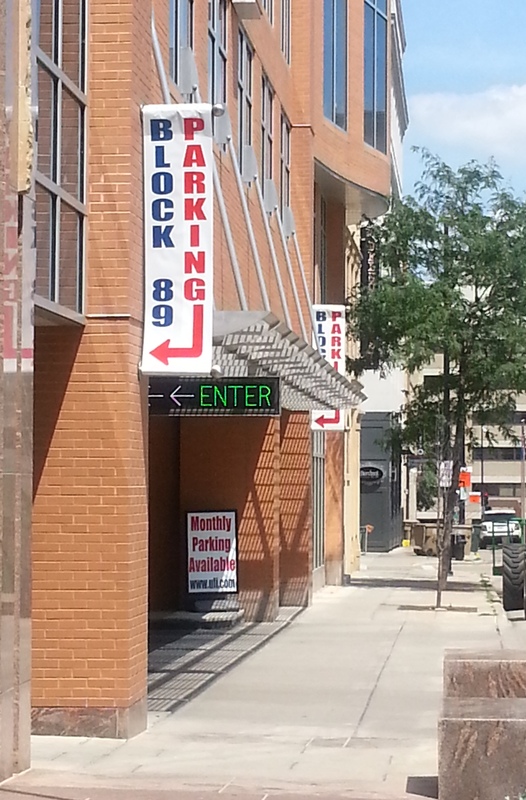 Watch for the bright green "ENTER" sign and the white "BLOCK 89 PARKING" sign with red and blue lettering. Take a sharp left into the first driveway of the "Block 89" underground parking garage and park on the first level for visitors. Go to the elevator bank marked "33 East Main Street" and take the elevator to the 5th floor, which is the Murphy Desmond lobby. From Highway 12 & 18 take the John Nolen Drive exit toward the Capitol. Take a left on to Broom Street. Take the first right on to Wilson Street. Take a left on to Hamilton and then take a right on to Doty Street. Stay on Doty in the left hand lane. Once you cross Martin Luther King Jr. Blvd. look for the red/orange brick building on the left. The entrance to the parking ramp will be on the left. Watch for the bright green "ENTER" sign and the white "BLOCK 89 PARKING" sign with red and blue lettering. Take a sharp left into the first driveway of the "Block 89" underground parking garage and park on the first level for visitors. Go to the elevator bank marked "33 East Main Street" and take the elevator to the 5th floor, which is the Murphy Desmond lobby. The entrance to the parking ramp is conveniently located on Doty Street (on the back side of our building) between Martin Luther King Junior Boulevard and South Pinckney Street, on the left side of this one-way street. While on Doty Street, stay in the left lane, and look for the tall red/orange brick building. The entrance to the parking ramp will be on the left. Watch for the bright green "ENTER" sign and the white "BLOCK 89 PARKING" sign with red and blue lettering. Take a sharp left into the first driveway of the "Block 89" underground parking garage. Please take a ticket from the ticket-dispensing machine as you enter the ramp. (Bring the parking ticket with you, and Murphy Desmond will validate it before you leave.) Park on the first level for visitors. Go to the elevator bank marked "33 East Main Street" and take the elevator to the 5th floor, which is the Murphy Desmond lobby.